All graduates of Lutheran High School South, Lutheran High School North, and the original Lutheran High School (Central) at Lake and Waterman are automatically members of the Lutheran High School Association Alumni Association. More than 15,600 students have crossed the stage as graduates of one of our three schools. We are blessed by the generosity of so many of our alumni. If you would like to make a gift in support of the Christian education at Lutheran North or Lutheran South, click here. 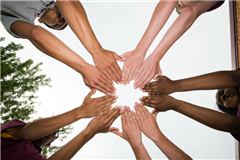 The LHSA Alumni Association provides assistance with reunion planning, along with opportunities for Lutheran North alumni to gather and communicate. We host an alumni welcome area at the Lutheran North and Lutheran South homecomings each fall as well as a hospitality room at the annual Crusader-Lancer Hoops Classic in the tradition of the “Sem Games” basketball games. We also encourage alumni to be a part of the annual Fantasy Faire Auction in November and the spring Golf Scramble. Please feel free to contact Cheryl Ehrhard, Coordinator of Alumni Relations at the Lutheran High School Association at cehrhard@lhsastl.org regarding reunion planning or for your questions about upcoming events. 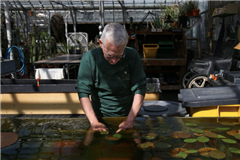 Lutheran High School South Alumni, Steve Wolff, Celebrates 50 Years as Horticulturist at the Missouri Botanical Garden. For decades he’s cared for the striking but finicky flower that blooms at night and is rooted underwater. 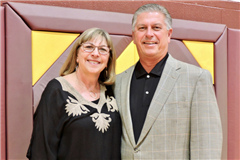 May 10th, students and faculty joined Alumni, Mark and Debbie Belew to honor and present, The Mark and Debbie Belew Gymnasium. This time of celebration came possible from the friendship and ongoing support of the Belew family. 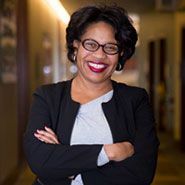 Simone Cummings, LHSN 1985, associate dean of Academic Quality Assurance for the George Herbert Walker School of Business & Technology and an associate professor in the Business Department at Webster University, was appointed the new dean of the Walker School of Business & Technology at Webster. 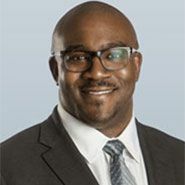 Cummings has a bachelor’s degree in Business Administration and a master’s in Health Administration from Washington University in St. Louis, and a PhD in Health Policy and Administration from University of North Carolina at Chapel Hill. Gary May N'81 has been named the new chancellor at the University of California-Davis. 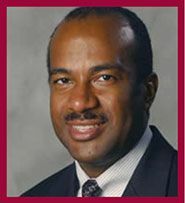 Previously he served as the Dean of the College of Engineering at Georgia Institute of Technology. Gary is a member of the inaugural class of the Lutheran North Crusader Hall of Honor. Read more about his accomplishments. Congratulations to Webster University senior defensive specialist Katie O’Toole, LHSS 2013, who was named the St. Louis Intercollegiate Athletic Conference defensive player of the year. O’Toole is the career digs leader (1,929) at Webster, including 659 this season. She finished second in matches played with 132. Read more from Webster University.